Q: Please share your views on the importance of a woman’s vote. Q: What has been important in the past and how does that compare to the present? Response: Senator Winters replied: “My father. He was not a politician or politically involved.” The Senator talked about how discussions at the dinner table with her father were of current events, candidates for various elected offices, and what they stood for. There was also a personal connection with Charlie Curtis, a relative of her father, who served as vice president for Herbert Hoover, which led to a lot of political discussion and debates. Senator Winters was inspired politically in 1967 while working in the records department at the University of Oregon Medical School. Winters attended a Model Cities community meeting where she voiced her opinions on how to improve her community. A pastor then asked her to become involved with community issues and Portland’s Model Cities project. The point where she really began believing that her involvement could create real change was when her neighborhood association requested the local store owner to close at 11:00 p.m. to reduce high traffic late at night, for the sake of their children. The store was famous for having the coldest beer in town. When the store owner refused their request because the customers who drove across town paid far more in taxes than those in the neighborhood, they took the issue to the city council, whose members required the store to close at 10:00 p.m. From this point on Senator Winter’s motivation was to provide real change for people. Q: What have you done and what can Oregonians do to promote civic participation. Q: Do you sense that people feel a separation with government and don’t realize that they are the government? 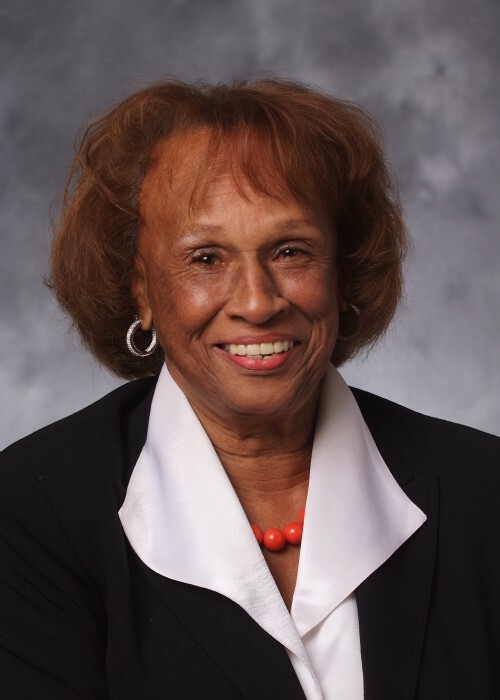 Senator Jackie Winters is a warm and receptive person who has a great passion for the people she serves in the Oregon State Senate. She clearly conveyed to us a message that government is a participatory activity for all citizens that works best when both men and women are represented in the governmental process. We enjoyed the time we had available to speak with her and to share in her gallery, pictures of people, places and activities she has known and been a part of.